The Motion Picture Community Initiative (MPCI) took the show on the road to the Township of Langley(TOL)/Fort Langley on June 24, staging the first in a series of community based appreciation events developed to recognize the vital role that BC municipalities play in the Province’s thriving film & television industry. The ‘Thank you Fort Langley’ Community Picnic took place on the grounds of Fort Langley Elementary School and brought industry stakeholders out to give TOL/Fort Langley its moment in the sun. Family fun included the chance to audition with special effects, pose on the red carpet with ‘Oscar’, dunk production personnel or ‘Deadpool’ and partake in authentically delicious craft service, movie fare and prizes. The Township of Langley Mayor Jack Froese joined Film Coordinator Isabel Picotte and Val Gafka, Senior Manager of Corporate Administration under the TOL tent in support of the Township’s collaboration with BC’s production community. From Bates Motel to Once Upon a Time, Twilight to Night at the Museum, Arrow to Air Bud — Ft. Langley and the Township’s impressive list of credits demonstrates a significant contribution to BC’s ‘film friendly’ reputation for excellence. The ‘Thank You Fort Langley” Community Picnic was generously supported by: CPAWC, Parallel Rentals, Signal Systems, Tangerine Catering and William F. White. 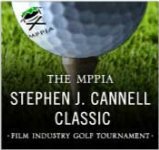 The Motion Picture Community Initiative (MPCI) is an industry collaboration supported by:ACFC West;Canadian Media Production Association-BC Producers Branch; Commercial Production Assn. 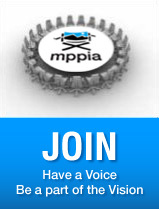 of Western Canada;Creative BC;Directors Guild of Canada — BC; IATSE 669, IATSE 891;Motion Picture Assn – Canada; Motion Picture Production Industry Assn. 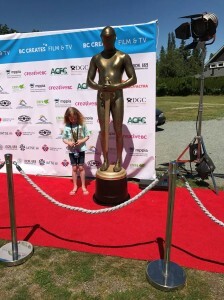 of BC; Teamsters 155;UBCP/ACTRA to recognize, profile and celebrate the BC community stakeholders that help make the Province’s film and television industry thrive. 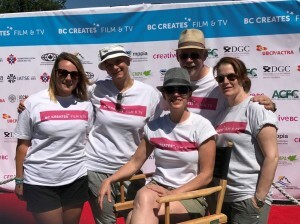 BC Creates is a branded communications initiative established by creative industry stakeholders to celebrate and engage British Columbia in the story of the Province’s vibrant creative economy @bccreates #bccreates www.bccreates.com .